This post is sponsored by Expressions Vinyl and contains affiliate links. Thanks for supporting Pitter & Glink! Hey, y'all! I am so excited about today's post! 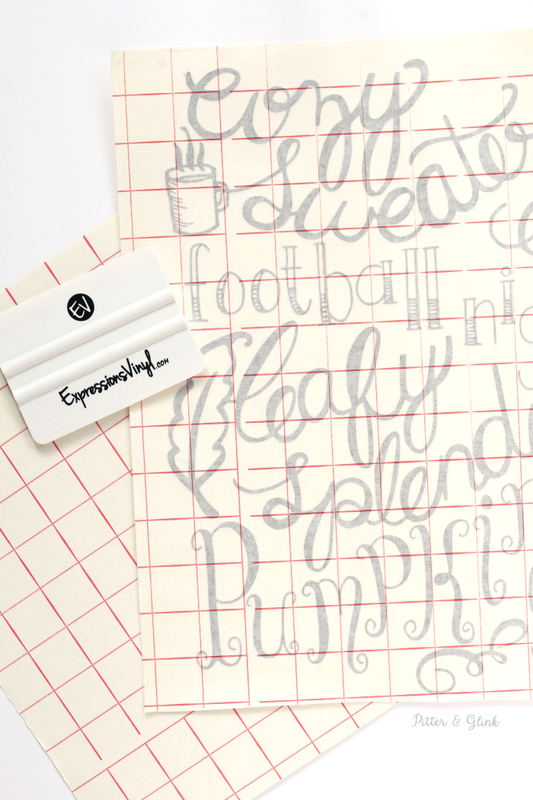 I am an ambassador for Expressions Vinyl, and they recently contacted me about being a part of a fun vinyl competition with a bunch of talented bloggers, so of course I jumped at the chance! I knew about the contest way in advance, but in my usual style, I waited to the almost-last minute to create my project. My main problem was that I struggled creating a hand-lettered design, only to realize after I finished it that I hated it. After that waste of time, I realized that I had a hand-lettered design from last year that I made a printable with that would be PERFECT for some fall art. 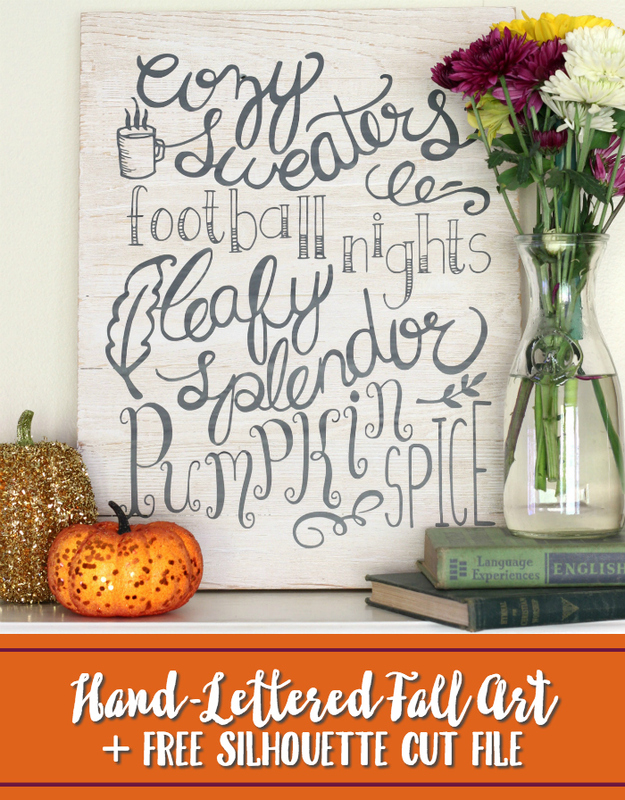 So today I'm sharing my brand new Hand-Lettered Fall Wall Art, and because I always want y'all to be able to easily recreate my projects even if you have no hand-lettering skills, I'm giving you the free Silhouette cut file so that you can make your own! And at the end of the post, I'm sharing the link where you can go to vote for your favorite vinyl project (hopefully mine) and enter a giveaway from Expressions Vinyl! Now I don't know if y'all have ever created art with vinyl before, but it is SO EASY. All you need is a painted board, some vinyl, and a cutting machine, and you can have brand new art in no time! 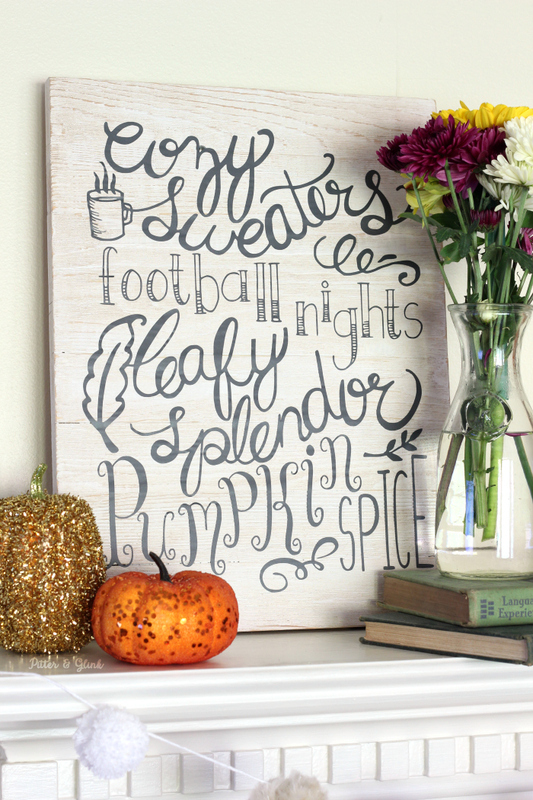 The first step to creating this fall art is selecting a board and painting it. I found an unfinished planked wooden board at Walmart to use for my art, but you could make your own or you could buy a piece of plywood from Lowe's and have them cut it down to size for you. Once you've selected your board, it doesn't hurt to sand it down with some fine grit (220) sandpaper to remove any rough spots. Then simply paint it with the paint of your choice. I had some leftover white paint from a furniture remodel, so I used it. Once your board is painted and dry, distress it a bit with sandpaper. To me, fall equals rustic, so distressed paint is a must! 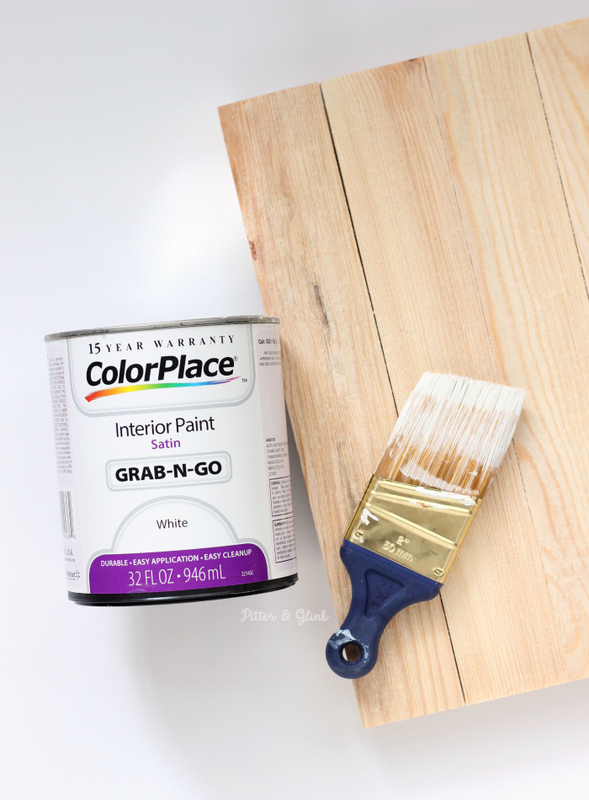 To enhance the distressed look, use a soft cloth to rub a dark stain over the entire painted board. The stain will soak into the sanded spots and will give the white paint a little bit of a worn look. 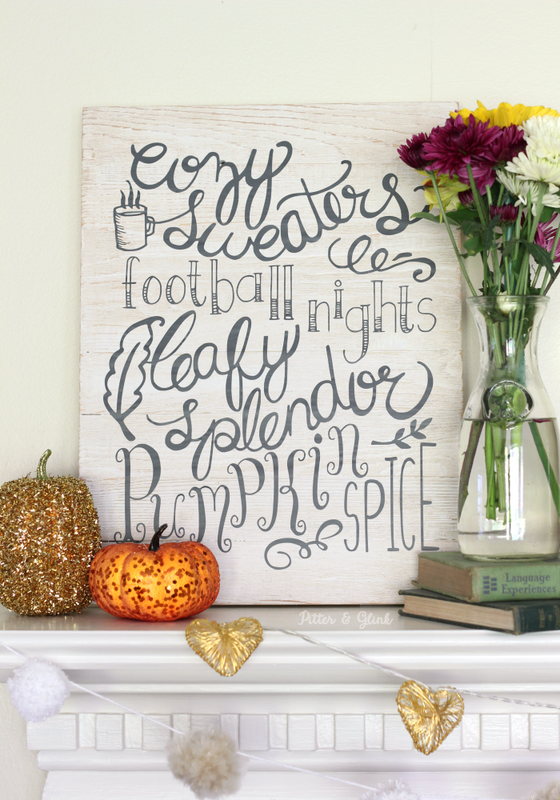 Download the FREE Hand-Lettered Fall Wall Art Silhouette cut file here. 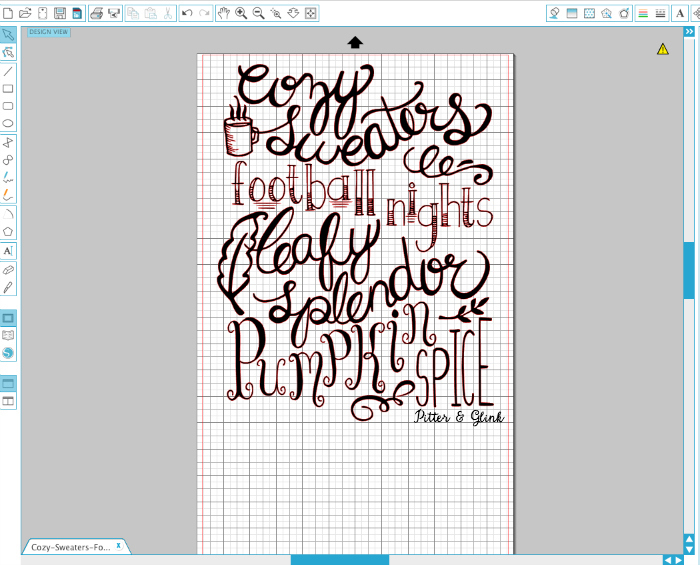 UPDATE: Download the FREE Hand-Lettered Fall Wall Art SVG file here. 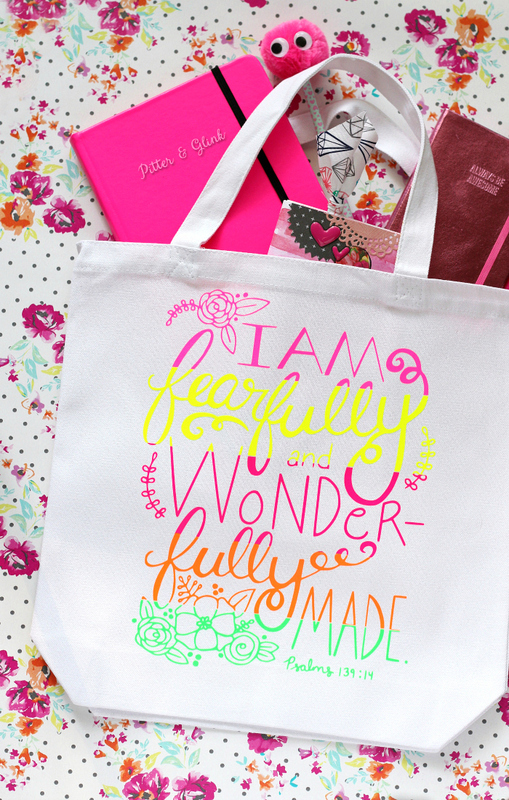 Just for the sake of transparency, I wanted to let you know that I hand lettered all the words but not the little accents. Anyway once you have downloaded the cut file, open it in your Silhouette program. Size the design to fit your board by simply clicking on the design and dragging the corner of it to make it smaller or larger. Select a piece of vinyl to cut for your art. I used Oracle 631, which is considered removable indoor vinyl, in the color Dark Grey. I would normally use Oracle 651, which is considered outdoor permanent vinyl, to make art, but it is glossy, and I didn't want my design to be shiny. If you want a permanent hold, I would suggest you use Oracle 651. Once you've selected the vinyl, load it into your machine and cut your design. 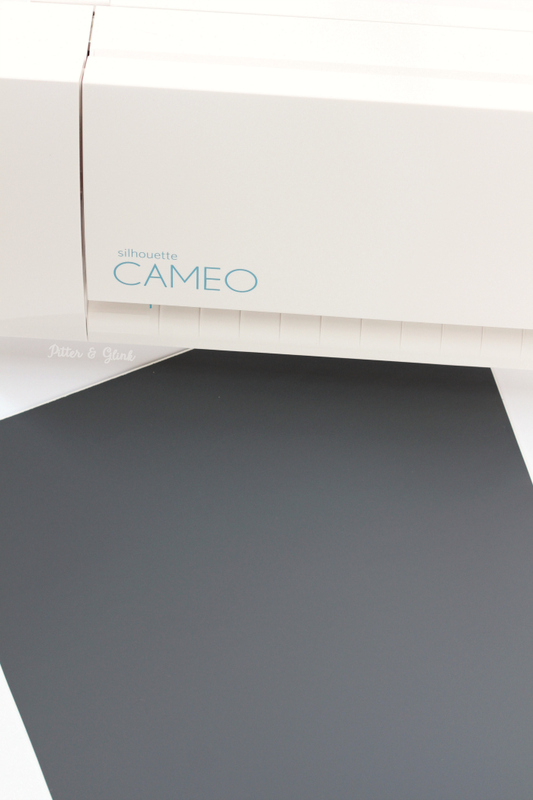 As far as machine settings go, I use the recommended Silhouette Cameo settings from Expressions Vinyl: Blade 2, Speed 7, Thickness 5. But as always, you should do a test cut first to make sure that setting works for your blade and machine. Once your design is cut, weed the excess vinyl. It's always helpful to use a weeding tool to make this process easier. 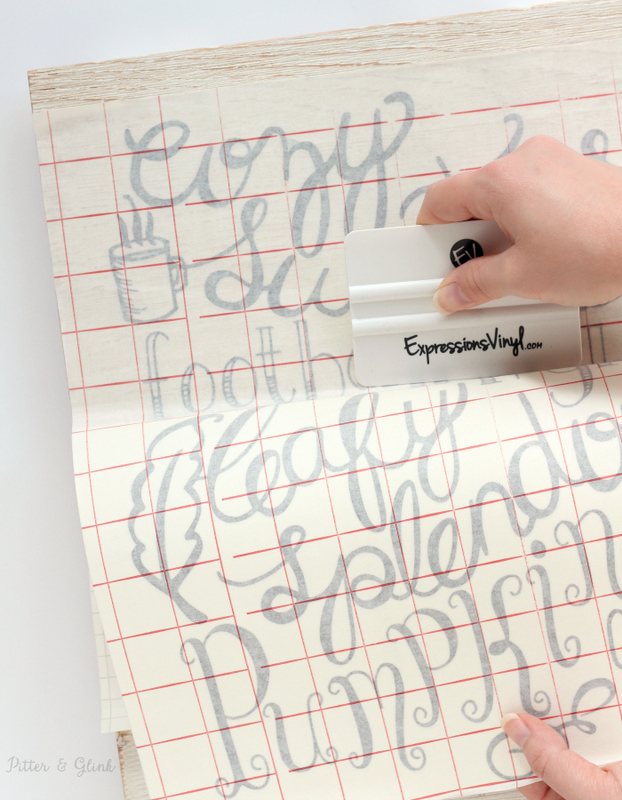 Using a vinyl application tool, cover your weeded design with transfer tape. There are several different types of transfer tape you could use, so choose whichever you prefer. 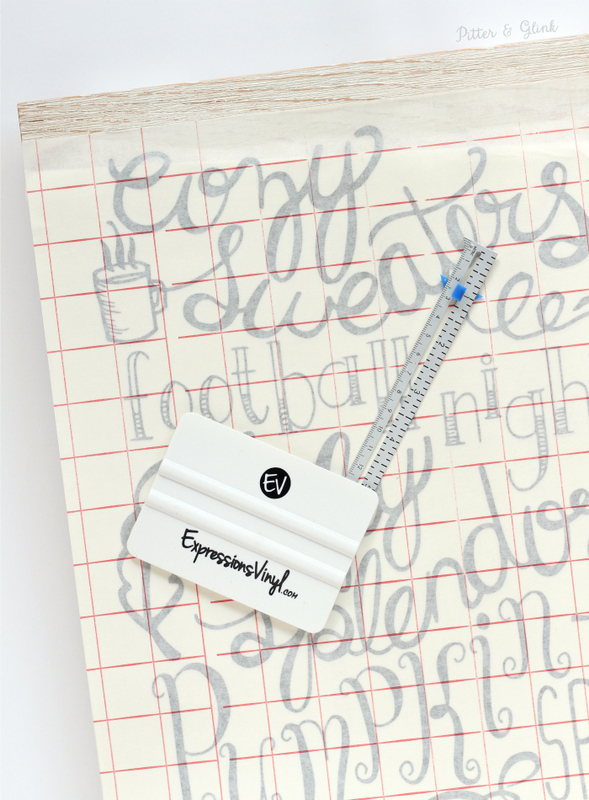 Use a sewing gauge and a vinyl application tool to apply your vinyl to your wood. The easiest way to do this is to use the sewing gauge to center your design. Then peel back a couple of inches of the paper on the back of your design and fold it over. 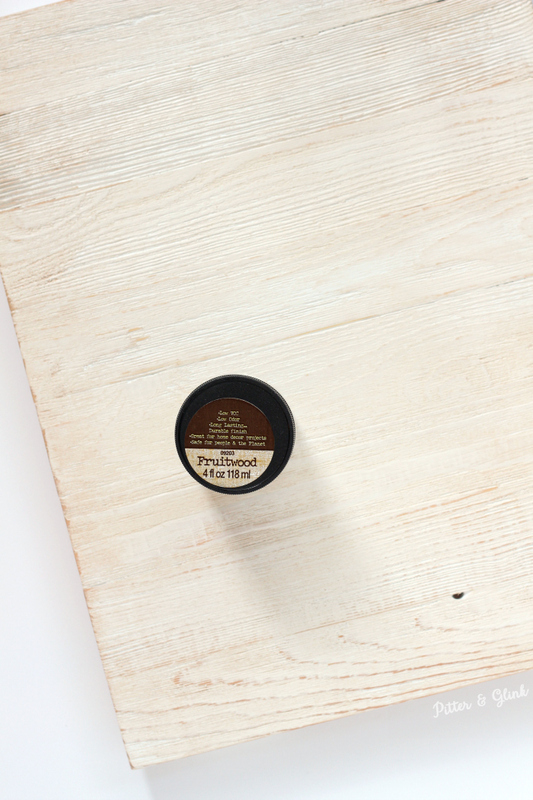 Adhere the exposed inches to the top of your wood. 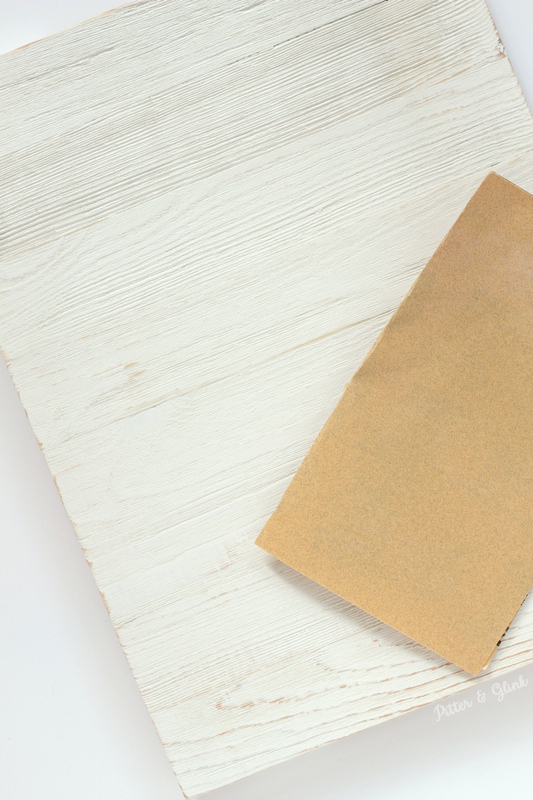 Then place your vinyl application tool over the top of the transfer tape and slide it down as you pull back the rest of the paper underneath the design. Once you've rubbed the design really well with the vinyl application tool, remove the transfer tape, and your art is complete! 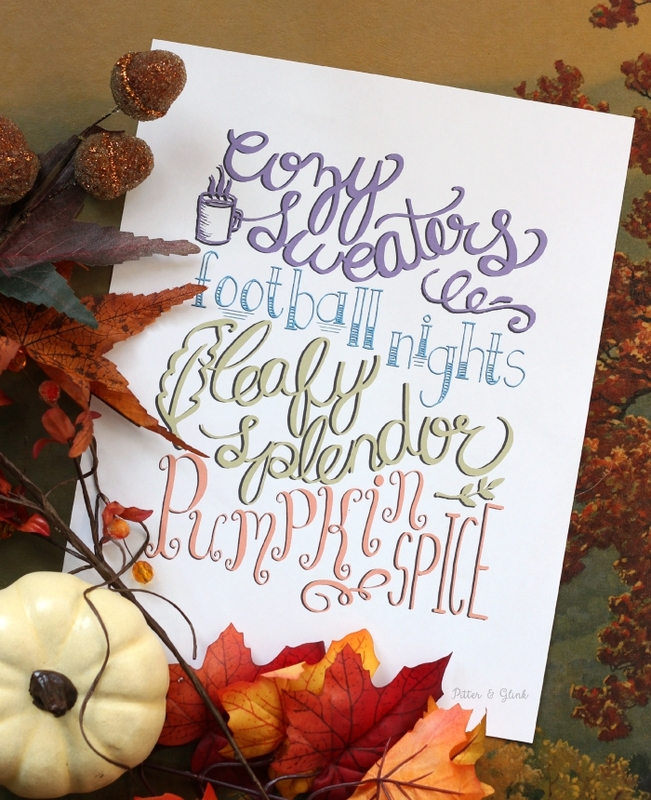 I have to say that I'm really thrilled with the way my Hand Lettered Fall Art turned out. Now is where I REALLY need your help!!! 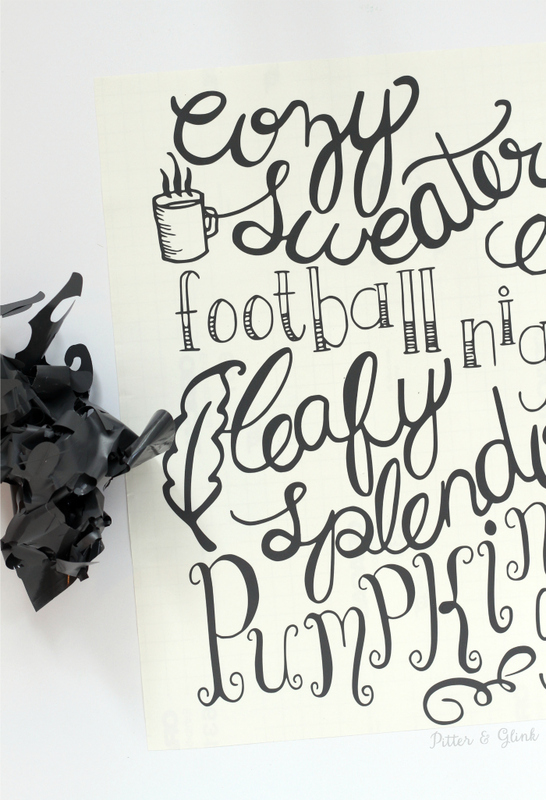 If you like my Hand-Lettered Fall Wall Art, would you pretty-please-with-a-cherry-on-top go vote for my project over on the Expressions Vinyl Blog?! If you do, I'll love you forever! There are SO. MANY. cute projects!!! I have to be honest: I'd have a hard time deciding which one to vote for. 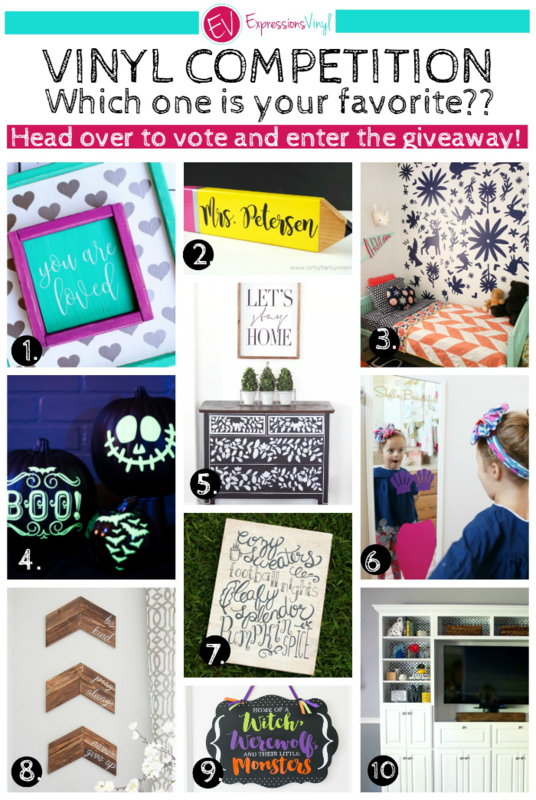 Don't forget when you head over to vote to enter the awesome giveaway too! UPDATE: Voting is closed. 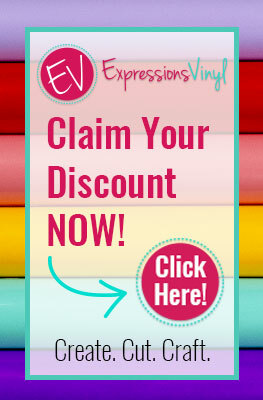 As an ambassador for Expressions Vinyl, I receive product and payment in exchange for sharing project tutorials and inspiration with my readers. As always, all opinions are 100% mine. Also, the links used in the post are affiliate links as mentioned at the top of this post. 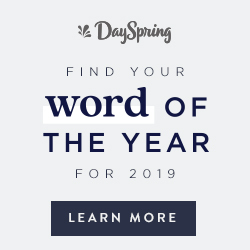 This simply means that if you choose to buy something through one of my links, a small percentage of the purchase price will go towards supporting my blog at no extra charge to you. Thanks for supporting Pitter & Glink! 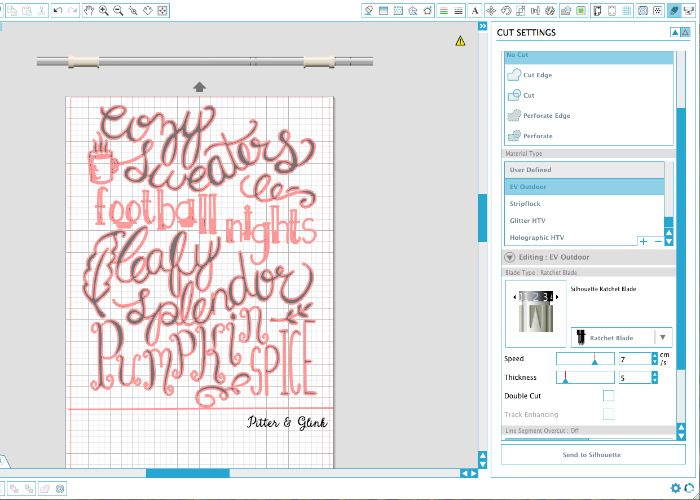 I don't have a Cricut machine, so I can't share a Cricut file. I'll try to create an SVG file this weekend. Did you distress it after vinyl was applied? No, I distressed the sign first. Thanks cute file. 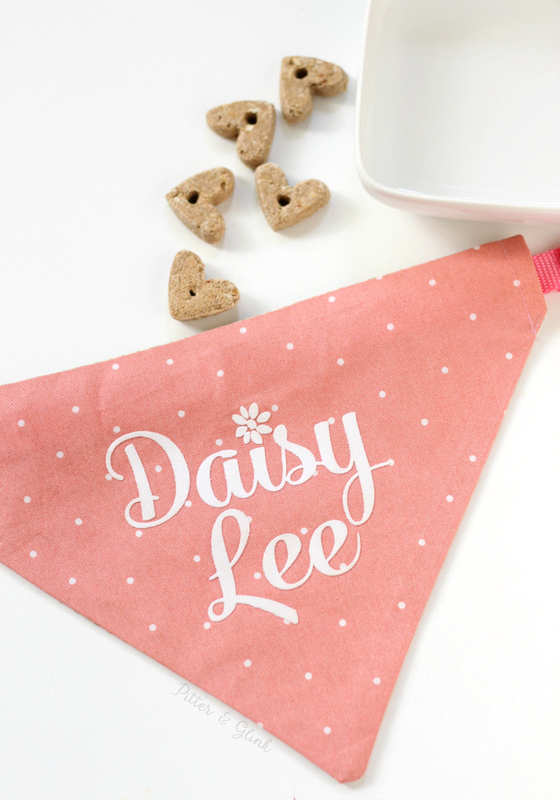 Have you though about using the cut as a stencil and painting on the words? May be a good alternative. Lovely. Thank you very much! Where in Walmart do you find a board like that? Bethany, what silhouette cameo do you have? The 2 or 3?